The Seattle Mariners sold off on a lot of players, trying to rebuild for the future. They didn’t bring in young players, so instead we have a lot of names that will be on the block during the middle of the season. Jay Bryce and Edwin Encarnacion are those main names. Both can have some power value in Seattle, and they are a reason why this team isn’t completely hopeless this season. They kept Mitch Haniger and Dee Gordon, which helps the offense, but the addition of Domingo Santana gives them a big power bat that was buried in Milwaukee last season. It is an unusual group off outcasts, but they are going to be sneaky good value for offense this season. Outside of Gordon there isn’t a big mix of speed, and we have to hope Safeco doesn’t depress home runs again. We might want to know who their newest signing is, mainly because he is a pitcher that is jumping right into the rotation. Yusei Kikuchi is a 27-year-old left-hander from Japan, and had a 3.08 ERA in 2018, and in 2017 he had a 1.97 ERA. These are all numbers from overseas, but he has some potential. Safeco is a positive place to pitch, and by the names around him, he also benefits from having a sneaky good defense. Seattle is going to suffer a bit because they don’t have James Paxton anymore, and that is disappointing for a team that could still compete with a better rotation. With Felix Hernandez not what he used to be, this rotation is going to likely fall in the bottom half, or possibly league average. This is a rotation that doesn’t have a strikeout arm, and while they traded for Justus Sheffield, he seems to need a lot more seasoning before being a full-time big league pitcher. Seattle finished 17th in team ERA last season, and that number might be going lower. Marco Gonzales was a flyball pitcher who got the luxury of pitching in Safeco, but he made some changes that opened up more strikeouts and quality starts. 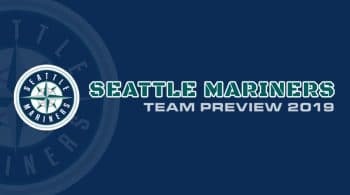 Projections like those changes and he is one of two starters projected for under a four ERA in Seattle. Kikuchi is the other one, projected for a 3.90 ERA. Mike Leake and Hernandez are two pitch to contact right-handers that are not doing a great job at getting guys out of the last few seasons. This is a major issue for Seattle, and the same goes for Wade LeBlanc on the backend. All three are projected for an ERA over four, but Hernandez is really expected to become one of the league’s worst. What was once a top tier ace, Hernandez has fallen off and has not been able to adjust to lower velocity pitching. Sheffield should gets some starts this season, but productive ones are not projected. He is a bit wild, and his strikeout stuff was hyped more as he was coming up through the minors.